Last night I swung by RL’s to pick up our newest piece of test equipment, the Tuckerman Hatchback XT Bike Carrier/Rack. RL and I proceeded to install the rack on my Honda Pilot and with a little finagling we were able to find the sweet spot for the rack on the rear hatch. 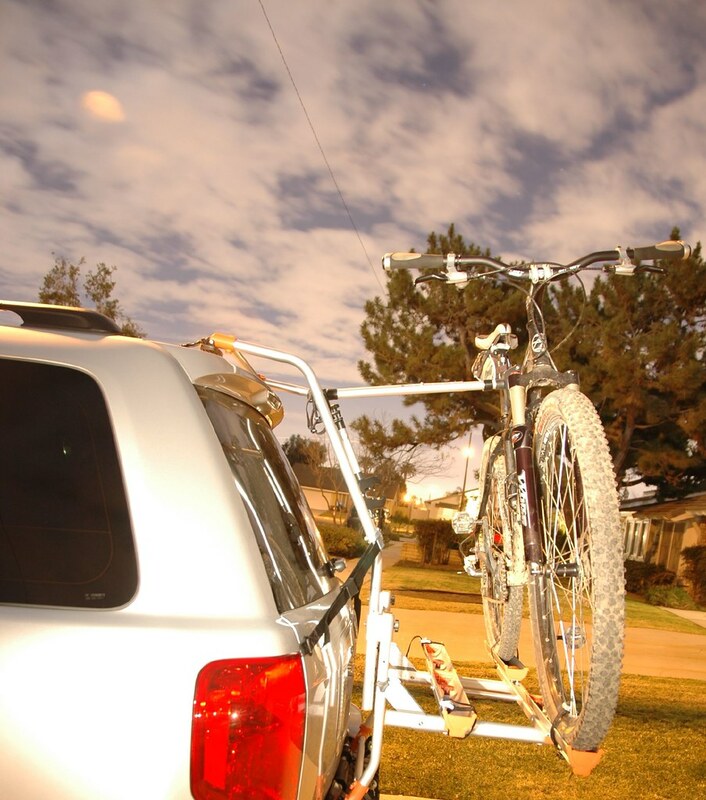 – Safely transporting bikes without hitch receiver or roof racks. – Sliding wheel trays fit up to 21 inch frame bikes. 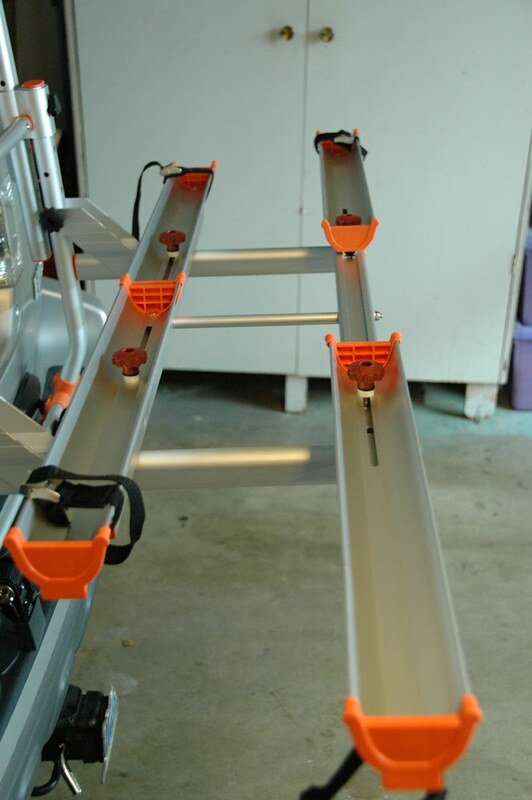 – The rack is constructed by 100% aluminum alloy. Ultra lightweight, sturdy and stylish. – Premium rubber pads protect the vehicles finish. – Adjustable frames fit on most SUV(s), mini vans, cargo vans. For complete fit list, download vehicle fit guide. 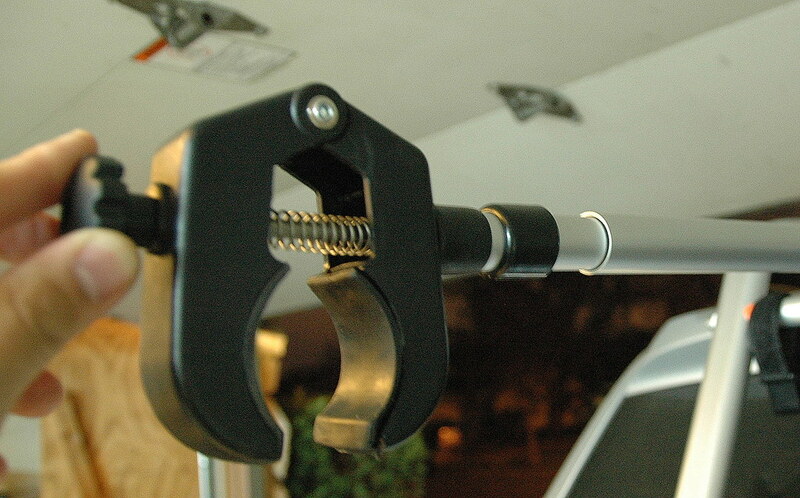 – Securely fit to vehicle with easy to use adjustable ratchet. – Hatch door is accessible when bikes are not loaded. – 2 bikes up to 95 lbs. After I brought it home, I mounted up my 29er on it and took it for a test spin. The bike did OK back there. I only went about a half mile, but I did find a small ditch and a speed bump to go over. The rack held the bike fine. – It is LIGHT. For what it is, a two bike rack, the Tuckerman is light. The specifications say 21 lbs and there is no reason for me to doubt that weight. The weight benefit does come at a slight cost though as the aluminum used is not the strongest but it does the job. The question becomes will it continue to do the job after a few months of testing? That, we’ll find out. – The Tuckerman rack is very adjustable. 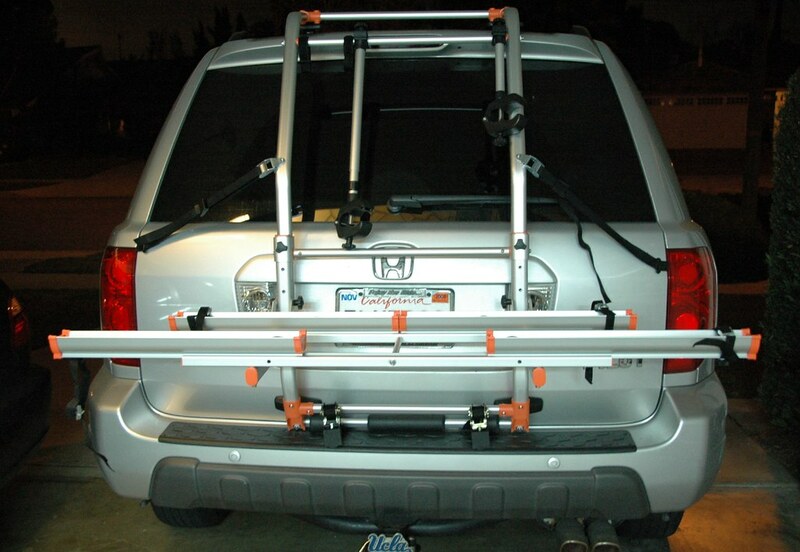 There are a variety of adjustment points for installing the rack on the back of your vehicle which makes it able to fit on most any minivan/suv/van. 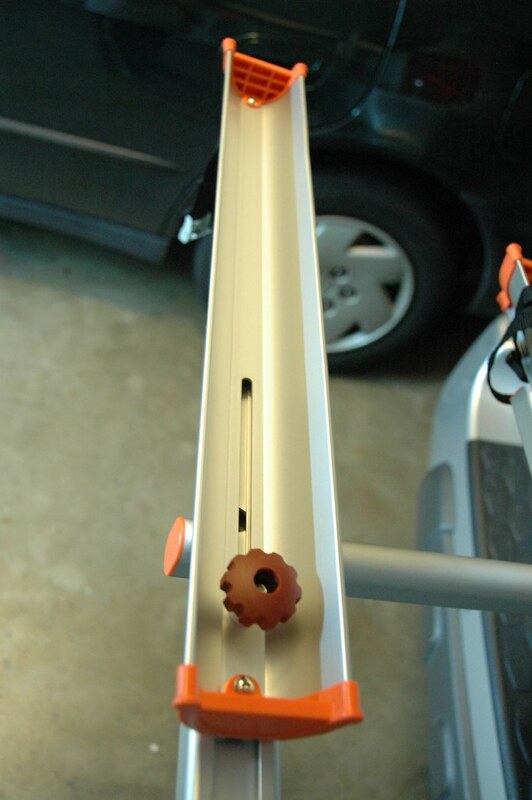 But not only are there a ton of adjustments for installing the rack on the back of your vehicle, but there are a lot of adjustments for putting your bike on the trays. The trays have tracks to move outward/inward and the screw that holds the trays in place can actually be moved outward so bikes with longer wheelbases fit on there too. The arm that holds the toptube of the bike telescopes in and out and there is a knob that can be turned to adjust the tension of the arm clamp. – Rack contact point with the car are all padded or covered with thick plastic. The hooks are all covered with thick plastic to prevent scratches to the vehicle while the flat pads have soft rubber where it touches the car. These are nice thoughts and I look forward to seeing how it holds up. I’ll spend some time testing this bike rack out but I’m sure the Tuckerman will also see some time on a minivan as well. Keep checking back for the updates and a review of the rack. 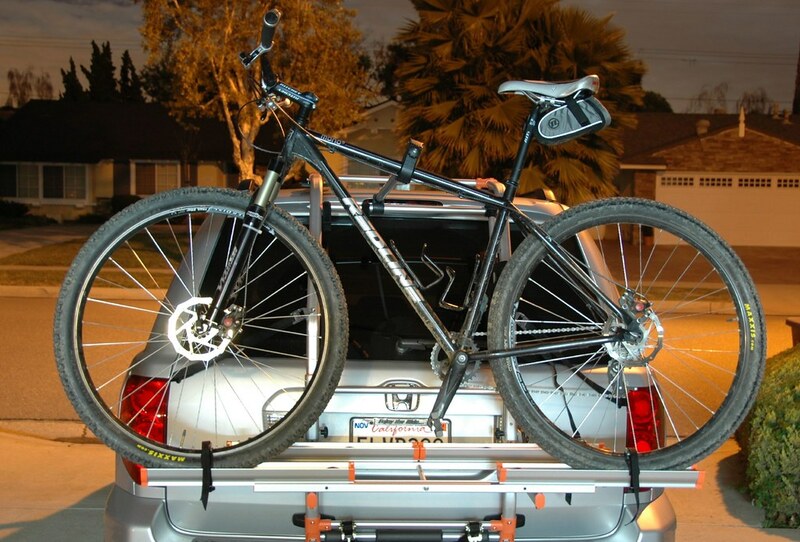 Click here for the Tuckerman Hatchback XT Bike Carrier/Rack website. Next PostNext Interbike in Anaheim?